Executive Summary: Constant innovation has been the byword for Nike's success. This case study analyses the ever-evolving marketing strategies adopted by Nike to become a global brand. Founded in January 1964 as Blue Ribbon Sports (BRS) by University of Oregon track athlete Philip Knight and his coach Bill Bowerman, the company was initially a distributor for the Japanese shoemaker Onitsuka Co and their brand Tiger. In 1966, it opened the first BRS retail store in Santa Monica, California. In those days, Bowerman would often rip apart the Tiger brand shoes to see how he could make them lighter and better. He used to take help from university runners to test his creations and collect their feedback. By 1971, though BRS revenue had touched $1 million, the business relationship with Onitsuka was turning sour. So, they moved on from being distributors of athletic footwear to designers and manufacturers of athletic footwear and took full control over their value chain. In 1973, they called their brand Nike after the Greek goddess of victory. A design student Carolyn Davidson created the famous 'swoosh' logo for $35. Today, the estimated market value of Nike is about $10.7 billion. In 1973, BRS signed its first endorsement pact with Ilie Nastase, a professional athlete and ATP tennis star. Endorsements have ever since been an essential part of the marketing growth of Nike. The company's innovation debut was in 1979 when it introduced air cushioning technology. The shoes featured gas-filled plastic membranes that could be inserted into the sole for comfort during running. Invented in the mid 1970s by a NASA engineer, it kept up the revenue of Nike for long. But in mid 1980s the revenue started dipping mainly because the management did not take note of the aerobics boom. Nike's competitors had by then developed their business in this segment. In a bid to regain its edge, Nike, in 1987, launched a new product called Air Max. The shoes had two interdependent bags with compressed air inside. This helped in absorbing shocks during running and jumping. The bags can be seen by the athletes (users) through a 'special window' in the heel or toe shoe. Nike also customised the product to suit individual needs by inserting bags of different size depending on the height and pressure exerted by users. This made it easy for a person involved in a particular sport to choose his/her shoes. The marketing campaign for this product was supported by a memorable TV ad in which the Beatles' Revolution was the soundtrack. It was for the first time that a Beatles song was being used in a TV ad. Riding on the success of this campaign, Nike, a year later, launched an even more empowering series of ads with the tag line "Just do it". The series had three ads featuring young sportsman Bo Jackson who campaigned on the benefits of a new cross-training pair of Nike shoes. Almost every year after Nike launched its air cushioning technology, it released new versions of Air Max. Currently, Nike has nearly 40 models under this brand name. In due course, even the hi-tech Air Max technology was found to be inadequate to entice customers. And it was time for something that would differentiate Nike in the long run. It had to be at once very distant from the core business and also very appealing. The focus was on digital gadgets. It had less to do with shoes and more to do with athletes. Nike's sales philosophy - if you have a body, you are an athlete - had enticed everybody who wanted to think of himself/herself as an athlete or wanted to get more athletic. Fast forward to May 20, 2006. On this day, Nike introduced its first mass produced gadget, Nike + iPod Sports Kit, in the US market. It was a tool to measure the distance and speed of a run or a walk and was built on a virtually flawless partnership strategy. Nike was cashing in on the most technologically advanced portable device that could do all the tech work brilliantly. What was it that Nike did for the partnership? It brought the idea and developed it into a business. The company was actually selling just a small electronic chip that had to be inserted in the shoe (preferably a special one, but even a regular shoe would do) and a wireless connection device that had to be plugged to an iPod. All the rest (calculation, storage, integration) was done by the iPod. But it was Nike's product. It paved the way to a truly innovative future of the company. An upgraded product, Nike + Sportband Kit, was released in April 2008. It no longer needed an iPod and could be connected to the computer directly to download the results. All the next products were an enhancement of this concept. The chip in the shoes was integrated with the iPhone, enhancing the possibility to view, manage and share the tracking results through iTunes. A Nike + Sportwatch was also introduced in combination with the chip. 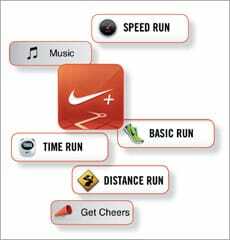 In September 2010, Nike introduced a running app to be used in the latest iPhones. The app used the phone's accelerometer and so there was no need of a chip in the shoe. Going miles ahead of its competitors with a user community of more than six million people, Nike products were not just dressing up the athletes but also coaching the masses who wanted to be like athletes. Products like Nike + iPod for gym goers and Polar WearLink+ targeted specific needs of users. The users of Nike+ can not only store and review their results in their computers or devices but also analyse and share them within the community. The whole evolution process has managed to change the concept of what a regular apparel seller is. Through apps, Nike has come closer to its customers and can study them and communicate with them conveniently. In contrast, a regular apparel seller even after spending huge amounts on advertising can only expect to meet a customer in the store when the customer has already made a decision to go and shop there. Thanks to its technology leap, Nike, it is said, was able to cut down on advertising expenses by 40 per cent without compromising on efficiency and results. The latest Nike products released in end-2012 include Nike + Baseball and Nike + Training Shoes. Yes, it is back to shoes but with lots of electronics, including Nike Chip Skis. Nike's tech growth was also accompanied by social media initiatives. In 2008, Nike created a Facebook account. Today, each Nike sub-brand has its own Facebook page, which runs product specific promotions and features events in a particular sporting activity. It also provides information on the latest game of endorsed athletes. For example, a Facebook user who wants to know more about the latest basketball shoes or game can turn to Nike Basketball Facebook page. Nike pairing up with Apple Inc, another company known for its innovative products, was a way to bring into its fold the Facebook fans of the company. This helped the company to increase brand awareness and also reach out to customers who were still in two minds about choosing their brands. The tie-up with Apple was Nike's realisation that most runners will use iPods or iPhones to listen to music while jogging. So now iPhones and iPods come pre-installed with Nike+ app. 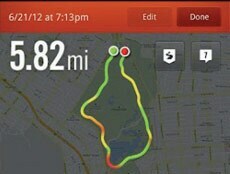 With this, iPhone/iPod users can map out their running route and later share it with their Facebook friends. One of the company's latest products is Nike FuelBand, a wristband that calculates the amount of energy spent during a day. The band tracks the wrist movement, predicts the activity performed and the approximate amount of calories burned. However, the number of calories spent is not a robust index of energy used because 100 calories burned by a person who weighs 100 kg is not the same as the same amount of energy burned by a person who weighs 50 kg. So, to create a platform where a group of people can compare their energy spent, Nike created a new index called Nike Fuel. This index was actually introduced in the era of Nike+ app but it was not actively promoted until Nike FuelBand was launched. Compared to other specialised players like Jawbone's UP and Fitbit Flex, FuelBand is rather primitive. But its biggest selling point is the Nike + Fuelband Community on Facebook. The page on Facebook does not say much about the FuelBand. Instead it uses the social media site to motivate its users to get fit. On this page, every week Nike sets a new challenge for its followers. And it is here that Nike Fuel comes into play. Users can compare the Nike Fuel accumulated and comment on the challenge, motivate each other, share their difficulties and get suggestions on how to improve the general level of fitness. Nike has been creative since the start. It has been pushing the technological boundaries of innovation to offer its customers new products and also differentiate itself from its competitors. Somewhere in its evolution, Nike also realised the importance of hi-tech gadgets in day-today lives. So it started to combine new products with hi-tech solutions to give unconventional capabilities to a customer of sportswear. Nike was also quick to seize the opportunity offered by social media to engage with a wider customer base so much so that it is now able to link its new hi-tech gadgets to social media platforms. The power of such customer contact is phenomenal as it gives greater visibility in a single click, generates interactions among customers and gives the company an opportunity to collect info about customers' choices and preferences. It also gives endless chances for customer segmentation and product differentiation, the pillars of any marketing strategy. Nike's success lies in its ability to keep the brand modern and relevant in an ever-changing marketplace. It also remains consistent with its original brand identity. The 'Just Do It' tagline epitomises the lonely, rebel runner who aggressively strives to overcome his/her physical and psychological limits. The brand identity, therefore, is in sync with the ideas of individualism, aggressiveness, performance and empowerment. This helps Nike differentiate itself from its competitors. While Adidas's identity is built on team activities and community achievement, Reebok focuses on fashion and street credibility. Nike's latest hi-tech innovations such as Nike + FuelBand focuses on individuality as it helps users track and improve their athletic performances. But the move towards social media is potentially dangerous as the idea of sharing information and belonging to a virtual community may be at odds with the individualism and rebelliousness of the Nike brand. Of course Nike cannot ignore the social media but it needs to embrace it in a way that does not impact its brand positioning. The stress on using social media as a platform in which individual achievements are celebrated seems to be the right way to go. The Nike consumer remains a self-focused warrior but one that is less isolated in his/her struggles thanks to Nike technology. Nike's brand management, therefore, is based on continuous revitalisation through gradual delivery changes in the brand's positioning. 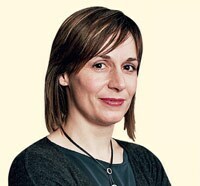 This approach is less risky than the intermittent repositioning efforts of other brands (for example Burberry Group). Continuous revitalisation needs constant investment in consumer research with focus on development of brand image and the extent to which brand perception aligns with brand identity. The USP of Nike is not its ability to effectively innovate but in its understanding of how innovation can be used to reinforce its original associations. Innovation is the art of making hard things easy and creating viable business offerings. Innovation has become vital for survival, making it imperative for businesses to rethink strategies, become more nimble and adaptive, not just in product development, but also in building effective business models, processes and customer experiences. Nike puts innovation at the heart of all its efforts. To run ahead of the competition, Nike took a unique approach for its shoe manufacturing process and occupied the mind space as a maker of athletic shoes. It not only developed new products that created and defined categories but also developed new business models aimed at enhanced performance. Nike has smoothly overcome local and global challenges varying from sustainable evolution of existing products and markets to create new products, thereby expanding its outreach.